Mobility has transformed our personal and corporate lives. The way we bank, shop, travel, learn, and entertain – every facet of our life is impacted by mobile technology. Mobility has become an important aspect and enterprises are now cashing on it. There are many companies around the world that are relying on mobile devices, applications, BYOD (Bring Your Own Device) as well as BYOA (Bring Your Own Access). The workforce, today, use mobile devices to get the work done and access data. Also, with remote work culture growing strong, the businesses have adopted BYOD practices and employees are taking the liberty to use range of devices to manage business data and apps. Focus has gradually shifted from devices to apps and data and the companies are hugely concerned about how to maintain security and integrity of the business data. And the threat of misusing company information can be checked through an enterprise app store. Before we understand if we are ready for mobility revolution, let us get an idea of what is enterprise app store. As growing number of employees are using their personal devices for work, companies are creating apps that are made available to the employees through dedicated corporate app store. Enterprise app store is a web portal or mobile app development that enables access to employees and stakeholders. It allows users to access, download, as well as install applications and software of a company. The employees can access latest corporate apps to complete jobs quickly and effectively. Why corporate should adopt app store? i) Easy to find and adopt – An enterprise app store is developed for all the employees within the company. So, rather to search for various app stores to find the right that meets their requirement, then can simply search the corporate app store for it. All they need is management’s approval to access it. ii) Boosts productivity – An in-house app store helps employees save their time looking out for the right app. Also, as employees download app for work, companies get an idea what app is being downloaded and how does it serve the purpose. It also helps in defining and streamlining the processes. App developers can update the system with new versions of apps, rather than waiting for a third-party to approve new versions. iii) Reduced cost – As everything stays at one place i.e. from maintenance to administration and application, you do not need to invest in various kinds of IT resources to keep things updated or in finding out the loopholes of the app. iv) Easy to manage – The centralized software distribution and management system enable corporate to manage the apps they give to their employees and stakeholders. v) Strengthens security – Security is one of the top concerns for all the companies worldwide. Having the enterprise assets in one store enables you to manage and restrict viewing of apps by employees, customers, as well as stakeholders. Also, it minimizes the risk of placing on unauthorized network. These are some of the benefits that you can enjoy if you have your own enterprise app store. 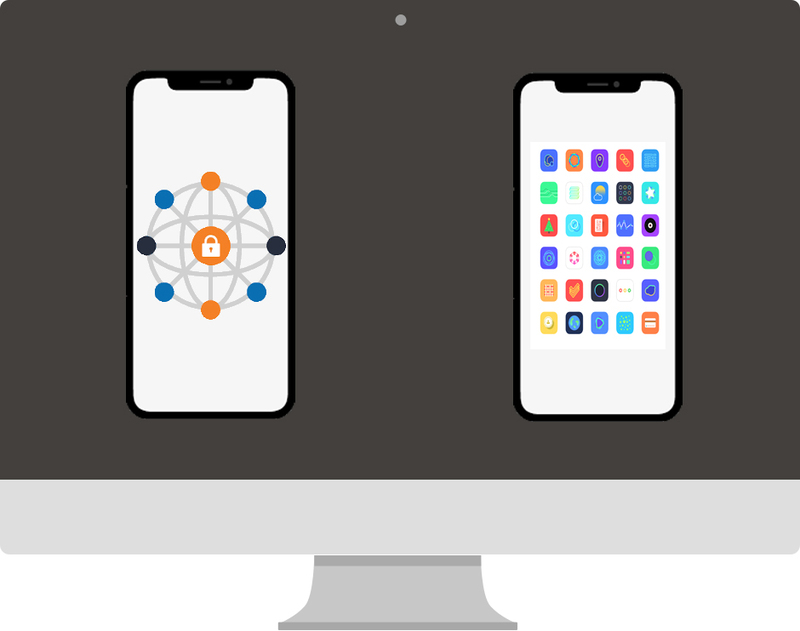 Having an app store will not just secure your enterprise data but will also help manage approved apps on desktop and mobile devices of your employees. Are you ready to launch your own app store? There may be many arguments for creating an app store for your business. When built and administered properly, an enterprise app store has the capability to do much more than any commercial app store. But the main question for that you might face would if you are ready for this mobility revolution? Are you equipped to access all kinds of products and services through mobile technology and applications? What do you need to get your own app store launched? Whenever you build an enterprise app store, it is needed that it stays updated with latest information. There are more chances of your app store to get attention if it is provided with latest updates. Also, it is necessary that you have enough staff to support you with the ongoing updates. With so many employees using different kinds of mobile devices, you need to be sure if you are ready to address your employees with multi-platform versions of your enterprise app. Are you ready to create versions of your app for Windows, iOS, Blackberry and other Android devices? You need to be prepared with strong security and compliance management to deal with any sort of security issues. User authentication must be strong enough so that only the employees are authorized to use the app. Also, whenever there is any change in the company’s policies, your IT department should ensure that the apps rolled out comply with it. The enterprise app store diminishes the odds of employees using outdated app, gives an opportunity to increases productivity, and enables enterprises take control of the app revolution. So, create the list of the applications that are relevant for the store, do the licensing, set up catalog of apps, and make a list of who can access to your app store and have benefit of it.